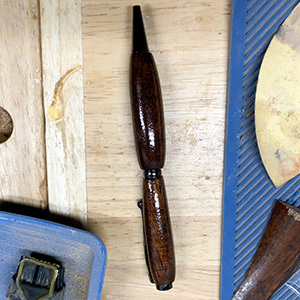 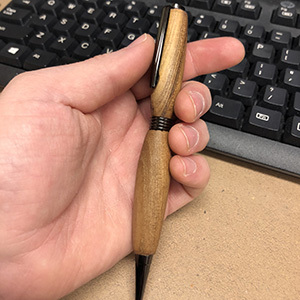 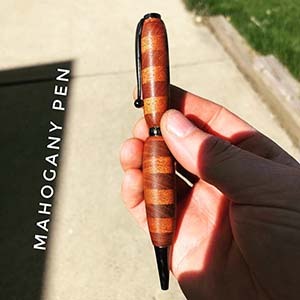 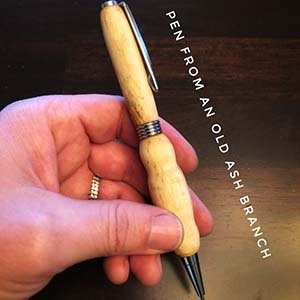 I’ve made several pens, turning them on my drill press modified as a vertical lathe (using abrasives only). 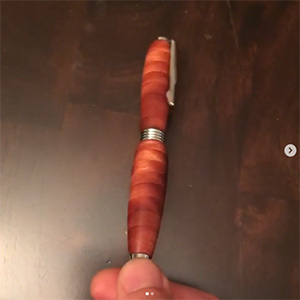 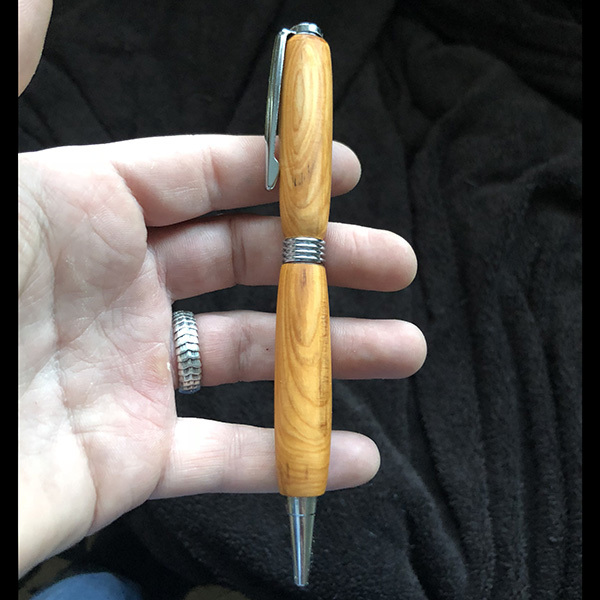 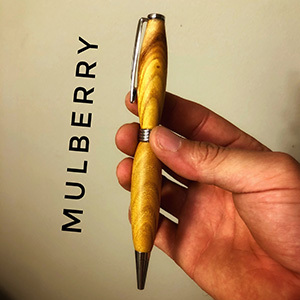 I usually make these if I have a scrap small piece of wood with which I’d like to make something and if I’m looking for a quick and easy project to kill some time. 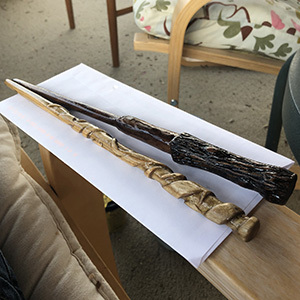 I was also once asked to make some Harry Potter wands for a couple of burgeoning wizards. 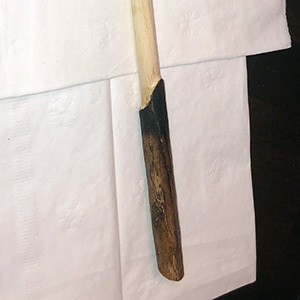 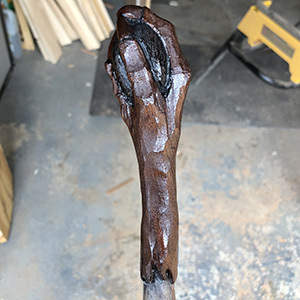 After those two, I was asked by a couple of other friends to make them wands as well. 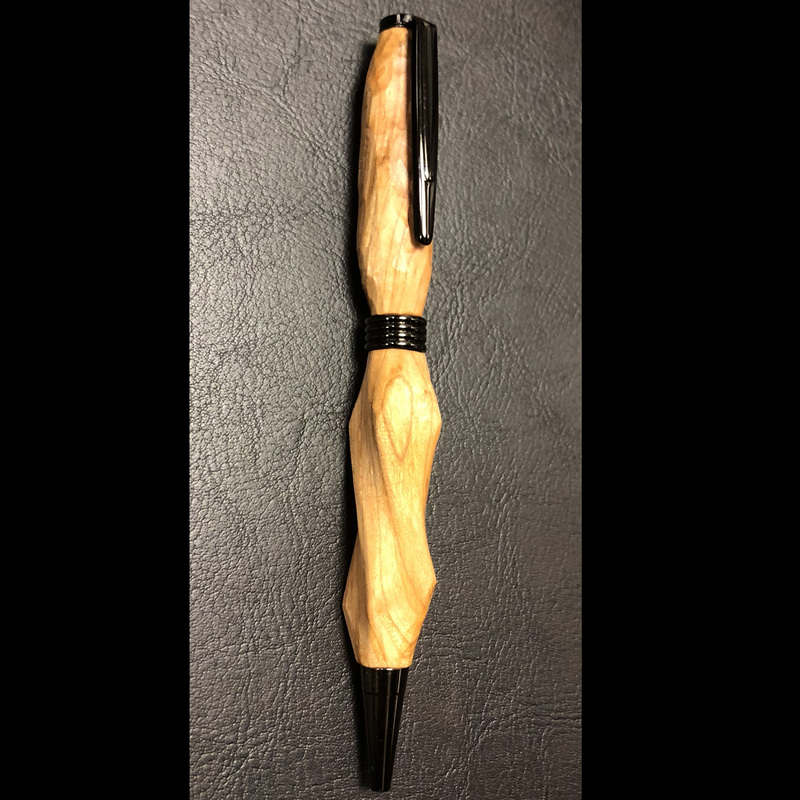 My favorite is the dragon claw wand, complete with hand-built custom cherry & walnut box in which to keep it.